Gastro-oesophageal reflux disease (GORD) is characterized by heartburn, acid reflux, and discomfort behind the breastbone associated with increased acid production in the stomach. The oesophagus is the tube that carries food from the mouth to the stomach. The lower oesophageal sphincter (LOS) is a ring of muscle at the bottom of the oesophagus that acts like a valve between the oesophagus and stomach. GORD occurs when the LOS opens spontaneously, for varying periods of time, or does not close properly and stomach contents rise up into the oesophagus. It is also called acid reflux or acid regurgitation, because digestive juices-called acids-rise up with the food. When acid reflux occurs, food or fluid can be tasted in the back of the mouth. When refluxed stomach acid touches the lining of the oesophagus it may cause a burning sensation in the chest or throat called heartburn or acid indigestion. Occasional GOR is common and does not necessarily mean one has GORD. Persistent reflux that occurs more than twice a week is considered GORD, and it can eventually lead to more serious health problems. People of all ages can have GORD. The main symptom of GORD in adults is frequent heartburn, also called acid indigestion-burning-type pain in the lower part of the mid-chest, behind the breastbone, and in the mid-abdomen. Some adults have GORD without heartburn. Instead, they may experience a dry cough, asthma symptoms, or trouble swallowing. The reason some people develop GORD is still unclear. However, research shows that in people with GORD, the LOS relaxes while the rest of the oesophagus is working. Anatomical abnormalities such as a hiatus hernia may also contribute to GORD. A hiatus hernia occurs when the upper part of the stomach and the LOS move above the diaphragm, the muscle wall that separates the stomach from the chest. Normally, the diaphragm helps the LOS keep acid from rising up into the oesophagus. When a hiatus hernia is present, acid reflux can occur more easily. A hiatus hernia can occur in people of any age and is most often a normal finding in otherwise healthy people over age 50. Most of the time, a hiatus hernia produces no symptoms. Other factors that may contribute to GORD include obesity, pregnancy, smoking and drinking alcohol/caffeinated drinks. Common foods that can worsen reflux symptoms include citrus fruits, chocolate, drinks with caffeine or alcohol, fatty and fried foods, garlic and onions, mint flavorings, spicy foods, tomato-based foods, like spaghetti sauce, salsa, chillies, and carbonated drinks. Depending on the severity of your GORD, treatment may involve one or more of the following: lifestyle changes, medications, or surgery. This includes smoking cessation, avoiding foods and beverages that worsen symptoms, losing weight if needed, eating small and frequent meals, wearing loose-fitting clothes, avoiding lying down for 3 hours after a meal, and raising the head of your bed 6 to 8 inches by securing wood blocks under the bedposts (just using extra pillows will not help). Antacids are usually the first drugs recommended to relieve heartburn and other mild GORD symptoms. Many brands on the market use different combinations of three basic salts-magnesium, calcium, and aluminum-with hydroxide or bicarbonate ions to neutralize the acid in your stomach. Antacids, however, can have side effects. Magnesium salt can lead to diarrhoea, and aluminum salt may cause constipation. Aluminum and magnesium salts are often combined in a single product to balance these effects. Calcium carbonate antacids can also be a supplemental source of calcium. They can cause constipation as well. H2 blockers, such as ranitidine (Zantac), decrease acid production. They are available in prescription strength and over-the-counter strength. These drugs provide short-term relief and are effective for about half of those who have GORD symptoms. Proton pump inhibitors include omeprazole, lansoprazole, pantoprazole and esomeprazole (Nexium), which are available by prescription. Proton pump inhibitors are more effective than H2 blockers and can relieve symptoms and heal the oesophageal lining in almost everyone who has GORD. Prokinetics help strengthen the LOS and make the stomach empty faster. They have frequent side effects that limit their usefulness-fatigue, sleepiness, depression, anxiety, and problems with physical movement. Because drugs work in different ways, combinations of medications may help control symptoms. What if GORD symptoms persist? If the symptoms do not improve with lifestyle changes or medications, additional tests are needed. Barium swallow radiograph uses x-rays to help spot abnormalities such as a hiatal hernia and other structural or anatomical problems of the oesophagus. With this test, you drink a solution and then x rays are taken. The test will not detect mild irritation, although strictures - narrowing of the oesophagus - and ulcers can be observed. Upper GI endoscopy is more accurate than a barium swallow radiograph and performed in a hospital. The doctor may spray your throat to numb it and then, after lightly sedating you, will slide a thin, flexible plastic tube with a light and lens on the end called an endoscope down your throat. Acting as a tiny camera, the endoscope allows the doctor to see the surface of the oesophagus and search for abnormalities. 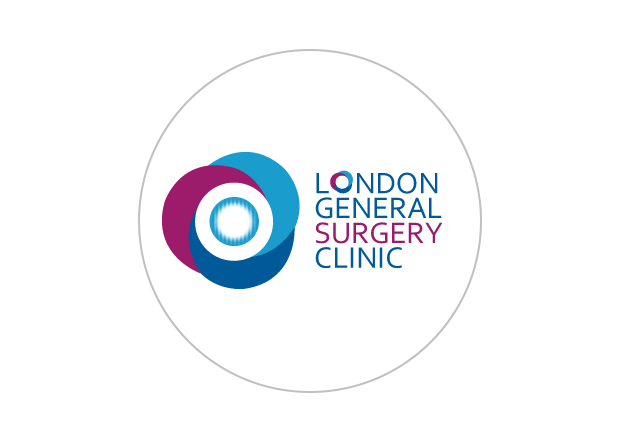 If you have had moderate to severe symptoms and this procedure reveals injury to the oesophagus, usually no other tests are needed to confirm GORD. The doctor also may perform a biopsy. Tiny tweezers, called forceps, are passed through the endoscope and allows the doctor to remove small pieces of tissue from your oesophagus. The tissue is then viewed with a microscope to look for damage caused by acid reflux and to rule out other problems if infection or abnormal growths are not found. pH monitoring and manometry examination involves the doctor either inserting a small tube into the oesophagus or clipping a tiny device to the oesophagus that will stay there for 24 to 48 hours. While you go about your normal activities, the device measures when and how much acid comes up into your oesophagus. This test can be useful if combined with a carefully completed diary-recording when, what, and amounts the person eats-which allows the doctor to see correlations between symptoms and reflux episodes. This is often combined with measurements of pressures within the oesophagus (manometry), which also gives your surgeon information about the function of the contraction of the oesophagus during swallowing. The procedure is sometimes helpful in detecting whether respiratory symptoms, including wheezing and coughing, are triggered by reflux. A completely accurate diagnostic test for GORD does not exist, and tests have not consistently shown that acid exposure to the lower oesophagus directly correlates with damage to the lining. Surgery is an option when medicine and lifestyle changes do not help to manage GORD symptoms. Surgery may also be a reasonable alternative to a lifetime of drugs and discomfort. Fundoplication is the standard surgical treatment for GORD. Usually a specific type of this procedure, called Nissen fundoplication, is performed. During the Nissen fundoplication, the upper part of the stomach is wrapped around the LOS to strengthen the sphincter, prevent acid reflux, and repair a hiatus hernia. The Nissen fundoplication is usually performed laparoscopically (keyhole surgery). When performed by experienced surgeons, laparoscopic fundoplication is safe and effective in people of all ages. The procedure is reported to have the same results as the standard fundoplication, and people can leave the hospital in 1 to 3 days and return to work in 2 to 3 weeks. Patients will need to follow special peri-operative diet for this procedure. Chronic GORD that is untreated can cause serious complications. Inflammation of the oesophagus from refluxed stomach acid can damage the lining and cause bleeding or ulcers, also called oesophagitis. Scars from tissue damage can lead to strictures, narrowing the oesophagus that makes swallowing difficult. Some people develop Barrett's oesophagus, in which cells in the oesophageal lining take on an abnormal shape and colour. Over time, the cells can lead to oesophageal cancer, which is often fatal. A physician should monitor patients with GORD and its complications closely.